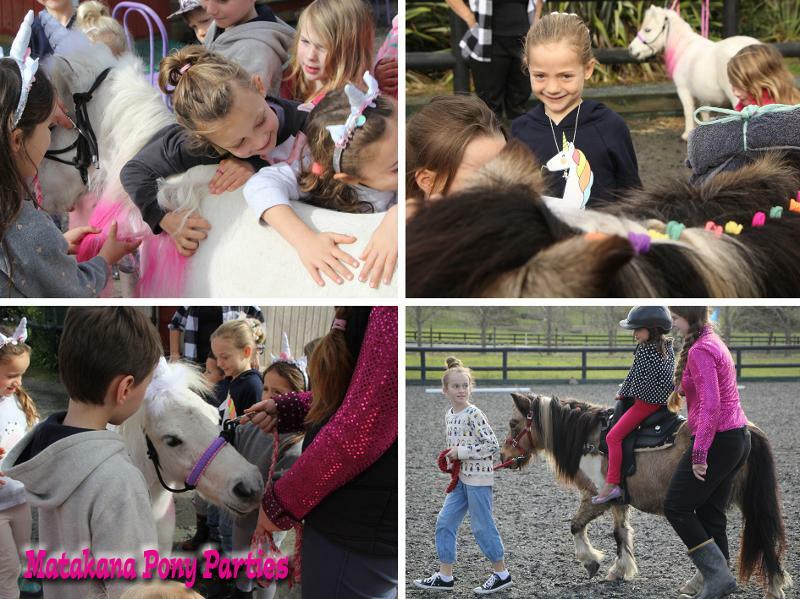 We offer a professional, friendly and reliable service focusing on safe and fun pony rides for your child's special occasion. 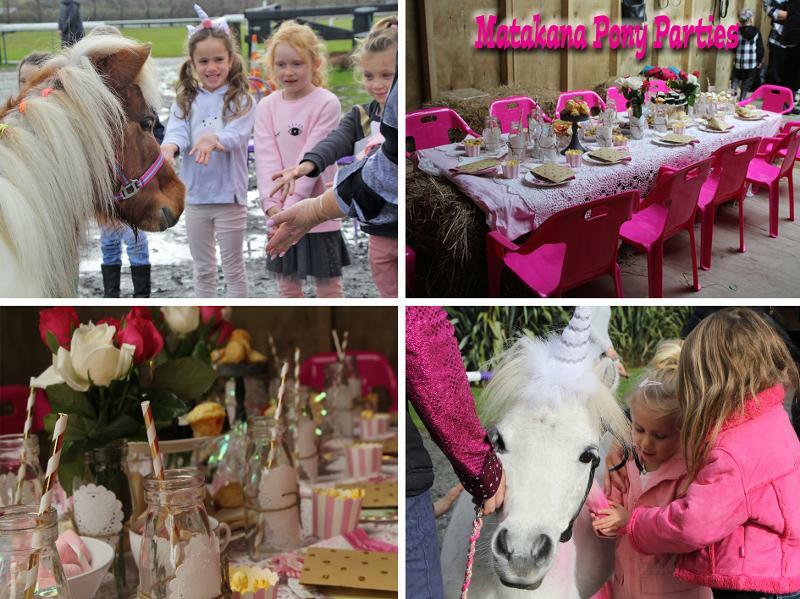 Party shed dressed out with hay bales, long birthday table, table cloth & chairs in photo. There is a small lean to on the front of the shed overlooking the horse pens & park which has a round wooden table and chairs for the adults to sit on if they wish. The whole atmosphere is “horsey, relaxed & country). Toilet facilities right next to the area. 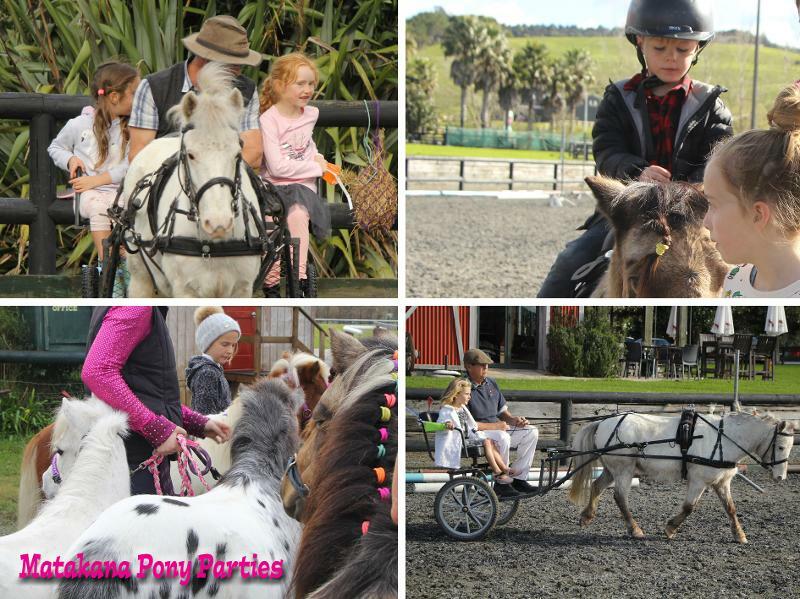 The pony rides take place right next to the Birthday Shed in a large sand arena where the children can have pony rides, pet & brush the ponies and for the adults to stand around and watch if they wish. We provide a safe environment and all children are expected to wear a helmet provided while being led. Our price caters up to 12 children then after that add $10 per extra child. Please feel free to call me on 021 777 385 for any other queries.